If Cambodia has a distinctive cultural identity, it would be a unique blend of pride and humility. This is a country that has conquered and been conquered. From its great Khmer Empire to the horror of the Killing Fields to its phoenix-like rise from the ashes, the kingdom has suffered constant flux. The beauty and tragedy of Cambodia’s past creates a truly unique mix of attractions for international visitors. 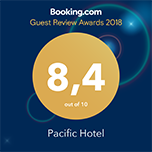 If your home base is The Pacific Hotel, Phnom Penh, your first stop should be the nearby palace, set on spacious grounds, with beautiful lawns and a view of the river. Built on an old citadel in 1866 after the implementation of the French Protectorate, it was confirmation of Phnom Penh’s status as the official capital. Since then, all Cambodian kings have resided at the palace with the exception of the period of occupation by the Khmer Rouge. North of the palace is the central repository for Cambodian art and cultural artefacts – the National Museum. 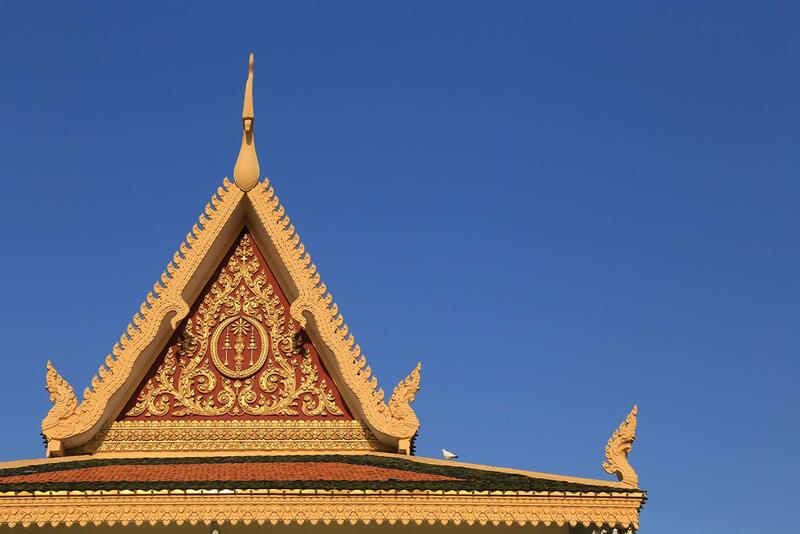 To understand how rewarding a visit to the museum will be, consider the history of Cambodia. The Hindu-Buddhist Khmer Empire dominated most of the South-East Asian peninsula for centuries. The influence of religions and cultures of neighbours to the west and north, created stark contradictions that eventually lead to a merging of artistic styles. The result was an evolution that led to uniquely Khmer styles, patterns, fashions and architecture. To understand the cultural richness displayed in the museum, you only need to remember that the ancient city of Angkor was the largest urban centre in the world prior to the industrial era. Geologically, Phnom Penh is distinctive due to its lack of distinction. With the exception of the beautiful rivers that converge on the city’s east, the wide urban sprawl of the capital is entirely flat except for one exciting exception: Wat Phnom (Temple Mount). This beautiful 14th century centre of worship sits atop Phnom Penh’s only hill and is open for tourists (for a small fee). Climb the steps flanked by uniquely Cambodian sculptures and your reward will be the small but ornate interior of the main temple, which has incredible statues and murals. The last destination on our list of attractions is an unusual one, and it’s the reason we advise you have a few tissues handy (we’re serious about that). The Tuol Sleng Genocide Museum is a shocking reminder the Khmer Rouge’s reign of terror during 70s. While there is debate about the exact number of the dead, some experts claim one quarter of the country’s population was executed. As one of the 150 sites used for the clinical killing of those suspected of being disloyal to the regime, Toul Sleng is perhaps the most remarkable due to one terrifying statistic: it has been claimed that of the 20,000 prisoners, only seven survived. While there’s no doubt the well-curated museum on the site of these atrocities is a tourist attraction that you experience or survive rather than enjoy, it’s an incredibly popular destination for the city’s visitors and a tribute to the perseverance of the population. While it’s a sobering end to our tour of Cambodia’s capital, the Genocide Museum will make you appreciate the general kindness of the city’s locals, and recognise Phnom Penh’s remarkable recovery. You won’t be sad for long. As the sun sets, it will be time to appreciate what Cambodians love most – eating, drinking, laughing and singing.